Graduation and The End of Study. After several long years, my University studies are finally over and well and truly behind me. 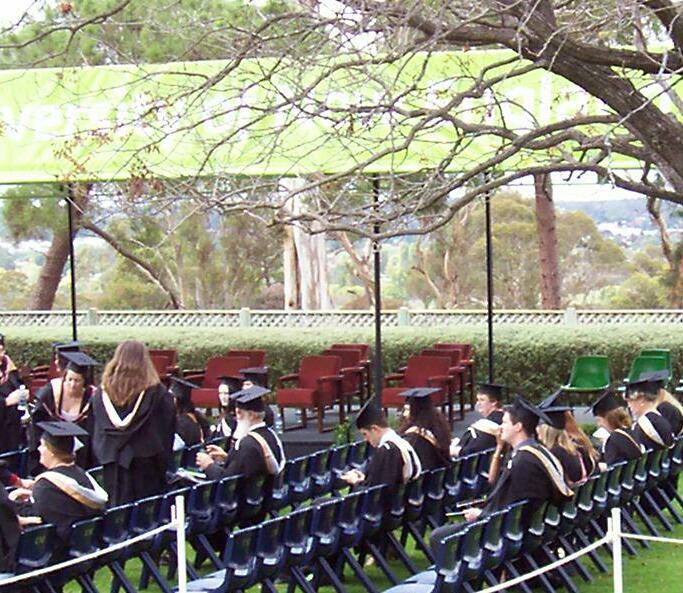 On 21 March, I attended my graduation ceremony. It was a day that held mixed emotions for me; I was so nervous I was dreading every minutes of it, yet wanted it over with at the same time. I felt so uncomfortable, and having to wear the outfit and hat didn’t help (at least I wasn’t alone in that – I could look silly along with hundreds of others)! My husband insisted I attend and I’m glad he did, for I know I would regret it if I didn’t. Graduating like this was something I would never do again, as I have no intention of furthering my studies. I received a degree I did not require to further my career; I studied because I simply wanted to. Years ago I wanted to study for a Bachelor of Arts, yet family members mocked it, labelling it a ‘Bachelor of Bludging’. Certainly there were some subjects during the course of my studies that I didn’t find too difficult, and I can see how the arts are perceived, yet I was not satisfied with cruising through University. If I was going to study, I was going to do it properly and work hard to earn that degree. And I did. In all twenty-four subjects, I only received one pass; the rest were credits and above. I studied because I was interested in learning and I wanted to further my writing skills, as well as learning to discipline myself and work to deadlines. My studies were completely online – never once did I attend lectures like my husband. Writing is a solitary occupation; studying in this way helped prepare me for the future. Sitting and waiting in the back row. It wasn’t until almost two weeks later, that the reality really sunk in. I had never realised until I was home alone for a few days just how much time I had devoted to my studies. It has been a lot of hard work and it has certainly been rewarding. I feel that my writing has become stronger by it – so much so a lecturer once asked if I was going on to do my Masters. Writing full time is going to need the same amount of discipline and hard work, but through my studies, I know I can do it. Sometimes, we don’t know what we can achieve unless we really try. What have you done that you felt you really had to work hard for? Do you struggle with discipline? Have you ever done something that others have mocked you for? Previous Post Being a Writer: A Leap of Faith. Next Post Calling Yourself a Writer. You did it! 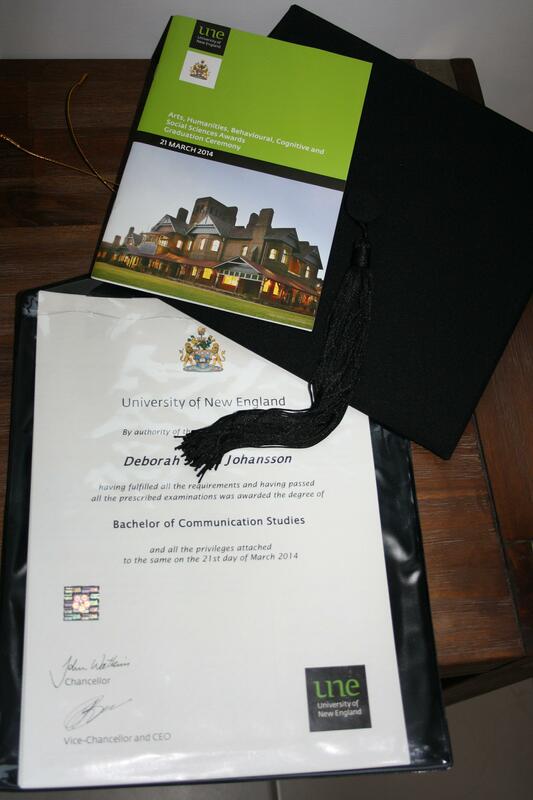 Heartfelt congratulations, Debbie for a job well done!